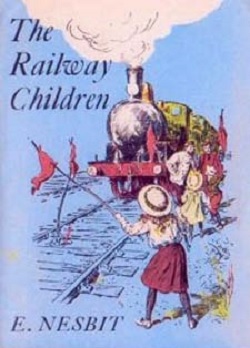 Many of you may have read The Railway Children, an evergreen classic by Edith Nesbit, published more than 100 years ago. The book continues to remain popular even today; more so after the film and TV version were released. Her other books are also read with pleasure by children all over the world. 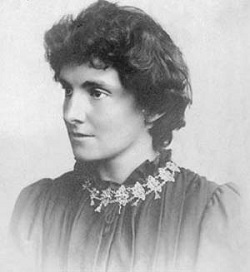 Nesbit has been described as the first “modern writer for children”. That is because before Nesbit started writing, children’s stories mainly comprised fairy tales, fantasies and the like. Children’s writers did not write about the real world with its problems and preferred to keep children away from all harsh realities. But Nesbit chose to portray life as it actually is and did not hesitate to point out that people often made mistakes because of which innocent men might suffer. Reading her books you hardly feel that they were written so many decades ago as her characters are so real and speak the language you can relate to. She wrote around 40 children’s books, including plays and collections of poems. She is also said to have written the first children’s adventure story. Her most famous novels include The Story of the Treasure-Seekers (1899), The Wouldbegoods (1901), Five Children and It (1902), The Phoenix and the Carpet (1904), The New Treasurer-Seekers (1904), The Railway Children (1906) and The Enchanted Castle (1907). She popularized an innovative style of fantasy which contained children from real life along with magical characters. This had a direct or indirect influence on later writers such as P.L. Travers (who wrote Mary Poppins), Edward Eager, Diana Wynne Jones and J.K. Rowling. Born on August 15, 1858, Edith Nesbit was the daughter of John Nesbit, a schoolmaster, who died when Edith was only 6 years old. Although life was tough, her mother managed to educate her in France. Edith married Hubert Bland, a writer and political activist, at the age of 19. But she chose to write her books under her maiden name. Edith and Hubert were both socialists and formed the Fabian Society with some like-minded friends. They became joint editors of the society's journal, Today. They were soon joined by other socialists in London. Many of them were famous, including people like Eleanor Marx, Annie Besant, Clementina Black and George Bernard Shaw. The Story of the Treasure Seekers was the first children’s novel by Edith. The story centres round six motherless children - Dora, Oswald, Dicky, Alice, Noel, and Horace Octavious (H.O.) Bastable. It tells how the children try to help their father and recover the lost fortunes of their family. The saga of the same family is continued in The Wouldbegoods and The New Treasure Seekers. It is actually a trilogy. The illustrations are by Cecil Leslie. The Railway Children is about three children – Roberta (12), Peter (10) and Phyllis (8) who belong to a happy family. At first they have an idyllic life with parents who shower them with love and affection, servants and many toys. Then one night their father is suddenly called away and does not return. The children are not told the reason for his disappearing – that he has been falsely accused of selling state secrets to the Russians and imprisoned for five years. The mother is sad but tells the children that they have to be brave and face their new life. This means letting the servants go; leaving behind most of their treasured possessions; and moving to a small cottage by the rail tracks in the country, where things are cheaper and it is easier to survive. The children’s mother writes stories to earn a living of sorts. It is precious little and gradually they get used to being poor. They know they cannot pick up coal from the rail tracks although they feel so cold at night. Peter and Phyllis cannot understand it at first, but their mother soon explains that doing such a thing would be stealing. Sometimes they argue and have differences as it happens in all families. But they really try to adjust to their new circumstances and keep cheerful. They make the best of the situation and make friends in the village. They particularly enjoy watching the trains and waving to the passengers. Some of the passengers wave back too. They soon make friends with Perks, the station porter, the station master’s cat and an old gentleman who takes the 9.45 down train every day. The children have many interesting adventures - stopping a train when a landslide covers the tracks; saving an infant and dog from a barge in the canal; helping a Russian man find his family and rescuing a hurt young man inside the tunnel. But they are always worried about their father and are keen to discover why he had vanished so abruptly and what had happened to him.. Finally it is the old gentleman who is able to help prove their father's innocence, and the family is reunited once again. The theme of the story - an innocent man being falsely imprisoned for espionage and finally vindicated was possibly influenced by what was termed “the Dreyfus Affair” - a prominent world-wide news item a few years before Edith Nesbit wrote the book. The story was adapted as a television series four times by the BBC. It was also made into a feature film and a film specially made for television. There have been musical adaptations too. All of them were very popular. The 1968 version of the television series is available on DVD. You can also get it as an audio book. If you do not have Edith Nesbit’s books in your school library, you can read all the books online in several sites, including Project Gutenberg. If you want to have a copy of the books you can easily download the text from any of the free sites. Edith Nesbit passed away on 4th May, 1924.